I am proud to present the 2016 Annual Report, which highlights some of the actions we have carried out in our public security mission this year. In 2016, the SPVM continued to reinforce safety and quality of life in the territory of Montréal and to consolidate our commitment to the future. 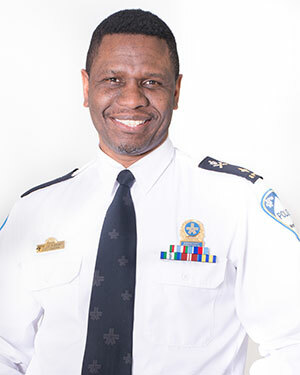 We adopted a strategic plan that will allow us to make our vision of the SPVM a reality by 2020. More than ever, the needs and expectations of the public are at the heart of our concerns. 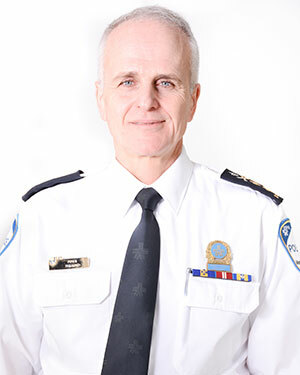 As the second largest municipal police service in Canada, the SPVM faces a variety of challenges and complex issues that develop in a perpetually changing environment. To adapt our services to the realities of Montréal, it is important for us to be attentive to changing social realities and criminal trends. To this end, practical projects are already bringing us closer to our vision of the police of the future. 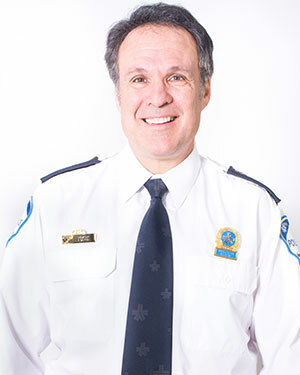 Therefore, in 2016, along with some 6,300 civilian employees and police officers in the SPVM, I made a commitment to develop unique methods and respond proactively to the needs of the public, while maintaining the involvement of our neighbourhood stations, which have been the backbone of the Montréal police service for almost 20 years. Together, we have strengthened the bonds of trust with the public and partners we share public security leadership with. In closing, I want to emphasize the extent of the work accomplished members of the SPVM this past year. The strength of our organization resides in the quality of its members’ actions and the pride they take in carrying out our primary mission of serving, helping and protecting Montréalers. I also want to thank our many partners and the public for their vital support, trust and cooperation. Public security is a fundamental aspect of well-being in a big city like Montréal, and that is why it is always at the heart of my priorities. To participate actively in Montréal life and take full advantage of our city’s characteristic ebullience, it is essential to feel safe. It is in this sense that the members of the CSP and I are so proud to offer our contribution to Montréal’s major public security issues. More than ever, “togetherness” is the very basis of our city. It underlines the importance of our vigilance program and the creation of our hate incidents unit. Today, the police patrolling our neighbourhoods face problems that are increasingly complex and ever more varied. The role of our police service is constantly changing, just like the community it serves, but the SPVM is an effective organization, turned toward the future and full of proud determination to serve and protect Montréalers. Police officers are in tune with today’s realities, and they know how to launch initiatives and projects to adapt to them. 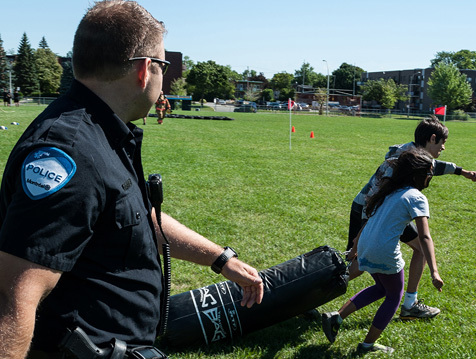 Year after year, the SPVM’s accomplishments in terms of prevention, bridge-building with the community and combating crime have risen to meet the city’s public security challenges. This is why it is crucial to continue to forge bonds of trust and consolidate a network of partners, citizens and stakeholders with the shared goal of giving Montréalers a safe environment. In closing, I would like to thank the civilian employees and police officers for the pride, dedication and professionalism they bring to their duties. Thank you also to our many partners. The involvement and co-operation of each and every one are valuable assets that help us ensure, every day, that Montréal is a great place to live. The 10-to- 16-year- old youth get moving! For a third year in a row, the bicycle patrol officers at PDQ 3 have held outdoor fitness sessions as part of the Ça bouge! summertime activity. Starting July 2, 2016, a group of about 12 young people aged 10 to 16 met up every Tuesday to work out with the bicycle patrol. For eight weeks, the bike patrol officers encouraged the young athletes to adopt and maintain an active lifestyle. To celebrate the end of the program, on August 23, the youth took part in an obstacle course supervised by the officers. This free activity, run in collaboration with the Lester B. Pearson School Board, helped build bridges between the police and the youth of PDQ 3, as well as improving their physical fitness. Last summer, the activity had surprise help from the West Island Black Community Association (WIBCA), which recruited three participants by promoting Ça bouge in its community. 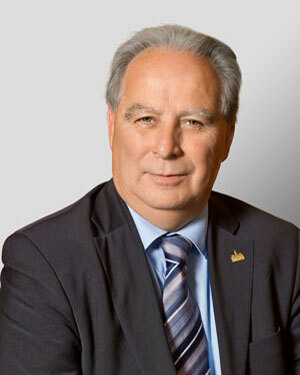 In collaboration with the Sûreté du Québec, the Service de police de Laval and the Service de police de l’agglomération de Longueuil, the economic crimes unit (Section des crimes économiques) dismantled a major “grandparent scam” fraud ring in May 2016. The network had defrauded 500 victims in Québec since 2014, 350 of whom live in SPVM territory. Most of the victims were seniors. The total amount of the fraud is estimated at some $2.5 million, $1.3 million of which was taken from victims in Montréal. For the “Foyer” investigation, the economic crimes unit used the Police Practice to Counter Elder Abuse (IPAM). The investigators directed all the fraud victims to the Montréal Crime Victims’ Assistance Centre (CAVAC). 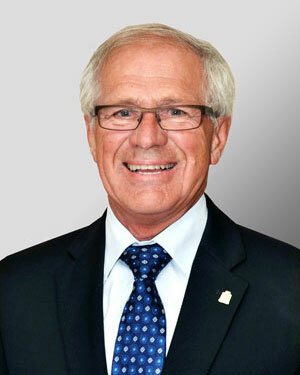 In the three months before the fraud ring was dismantled, the CAVAC counsellors communicated with the victims. Then, the police officers in charge of IPAM met or spoke with 322 other victims. In August 2016, in partnership with CAVAC, the economic crimes section accompanied several victims to the Court House to attend the suspects’ bail hearings. 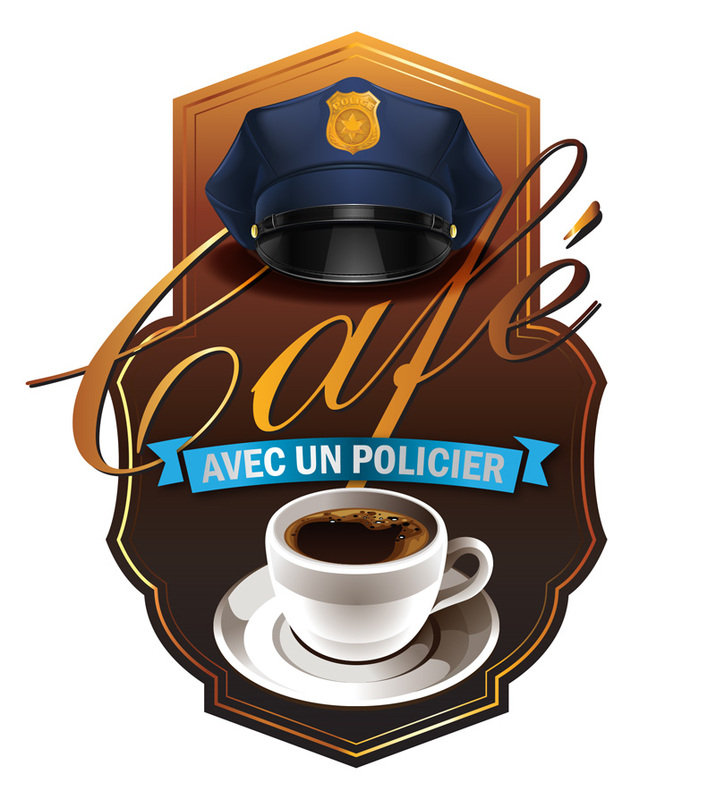 Over 2,000 people met with police officers from a dozen SPVM neighbourhood stations as part of the Coffee with a cop program in 2016. The Coffee with a cop initiative is a friendly way to meet with residents in their regular environment to break down the physical and psychological barriers that sometimes exist between police and various groups of residents. The informal context of the discussions is conducive to bridge-building and developing a mutual sense of trust. These meetings help the police officers establish good relationships with the residents and business people in the target neighbourhoods and allow the officers to mould their efforts and crime prevention projects based on their discussions with the public. As such, Coffee with a cop is a great way to reinforce people’s sense of security and promote SPVM programs to the public. 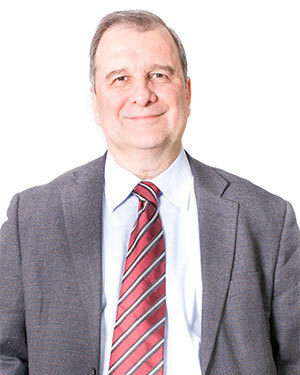 The project is based on an American initiative of the same name. 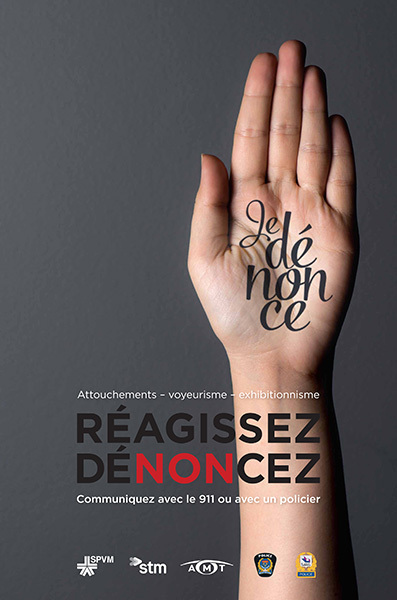 The React – Report awareness campaign, carried out in collaboration with the police services in Longueuil and Laval, the STM and the AMT, encourages victims and witnesses to report sexual assault or sexual misconduct that occurs in public transit. Although this kind of behaviour is not common, more infractions of a sexual nature have been reported in public transit in Montréal in recent years. Victims are often reluctant to report behaviours such as sexual touching, voyeurism or exhibitionism, and potential witnesses are not always aware of what is happening around them. But an aggressor can be identified more easily than people think. Filing a complaint with the police is the first step toward arresting a suspect. The campaign led to an increase in the number of complaints, with 44 sexual touching complaints reported in 2016, compared to just 31 in 2015. As for indecent behaviour, 38 cases were recorded, compared to 37 the year before. The SPVM made 29 arrests, and 22 investigations are underway. 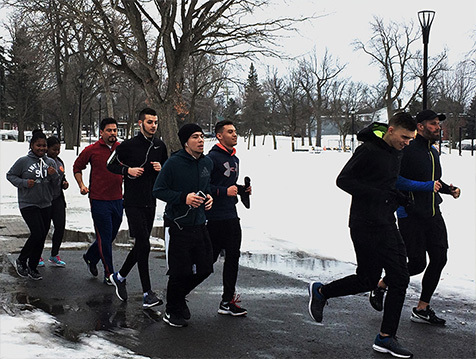 The “Courir et bâtir son avenir” project, developed by PDQ 39 in collaboration with three high schools and the Borough of Montréal-Nord, invites youth from the neighbourhood to run with police officers and education workers. The goal is to bring the youth, the SPVM and the community closer together. It promotes the personal achievements of youth and the adoption of healthy lifestyles, while fostering mutual assistance, a sense of belonging and self-confidence. This program uses a collaborative approach that forges bonds between the youth and the schools, in a playful and non-interventionist setting of mutual respect. In its first year, 36 students took part in biweekly training and went on occasional outings. Police officers, civilian employees, coaches, teachers, principals and health partners all contributed to the different activities. The Borough also offered participants the chance to take courses in first aid, leadership and job hunting. Having received lots of positive comments from the participants, PDQ 39 plans to continue the project in 2017. 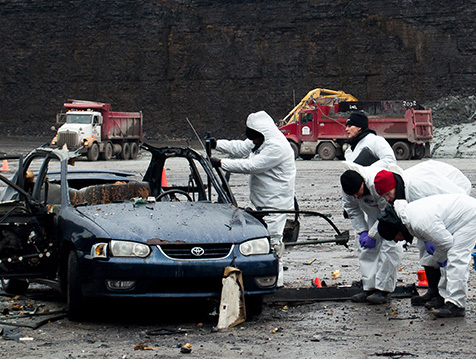 In November 2016, the SPVM exploded a vehicle as part of an exercise to test theexplosion technicians in the emergency response team (Groupe tactiqued’intervention), the technicians in the forensic identification unit (Section de l’identification judiciaire), the investigators in the arson unit (Section des incendies criminels) and the specialists in the forensic science laboratory (Laboratoire de sciences judiciaires et médico-légales). This exercise was carried out with the support of Defence Research and Development Canada. The purpose of the controlled exercise—the simulation of a realistic crime scene—was to allow the investigators to test the procedures, techniques and equipment while furthering their skills. This type of investigation requires leading-edge expertise and a capacity to act with speed and coordination in a chaotic environment. Montréal had not conducted any post-explosion exercises in 20 years. In the 1990s, at the time of the “biker war,” events involving explosives were practically routine in the territory of Montréal, and police know-how on the matter was absolutely exceptional. Since events of this type have become extremely rare, the 2016 exercise was an opportunity to develop the post-explosion management expertise of a new generation of investigators. On June 9, 2016, the officers from PDQ 38 launched a new prevention and awareness tool with the opening performance of the play Haut comme trois pommes et déjà…, an interactive show that broaches difficult situations with young children. into a play by the officers at PDQ 38, is offered only to pre-school, kindergarten and Cycle 1 students in the participating schools in the Borough of Plateau Mont-Royal. It features puppets handled by police officers. 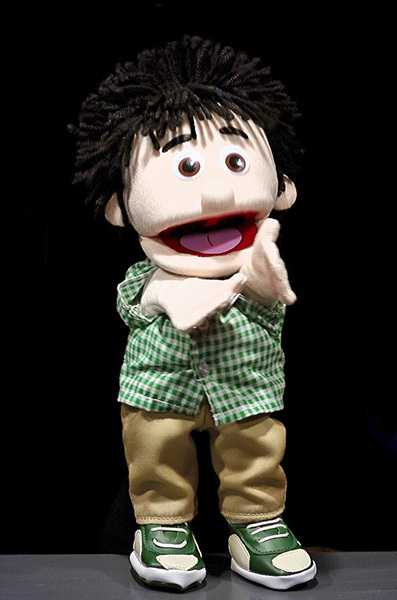 In simple scenes within the children’s grasp, the puppets interact with a police officer and invite the children to take part, talk and offer solutions to a variety of problems, including bullying. The project stemmed from a need expressed by the schools in the neighbourhood, which did not have the resources to raise certain problematic issues with their youngest students, and it has garnered many great comments from spectators young and old. Since the launch, nine performances have been given at the 13 schools that are part of the program. The “Adopt-an- intersection” project helps raise police awareness of high-accident intersections to reduce the number of collisions by reinforcing police presence at these locations. Assigning a specific intersection to a group of officers increases their accountability and ownership of the target. In 2016, with the help of the operations and specialized patrols division (DSOPS), PDQ 15 targeted five intersections with a high rate of collisions. Each team was assigned an intersection. The goal was to increase visibility by conducting at least 50 interventions at their intersection throughout the year, because recurring police presence encourages residents to embrace safer behaviour and increase their vigilance as they approach intersections. Over the year, whenever possible, each intervention involved at least 30 minutes of police presence at the targeted intersections. During these interventions, officers’ main goal was not to issue tickets but simply to be visible. In light of the interest expressed by the officers and the comments received by the residents, the project will be extended to 2017. Police officers are often called on to intervene in situations of elder abuse, but until recently there was no standardized approach for detecting abused seniors. 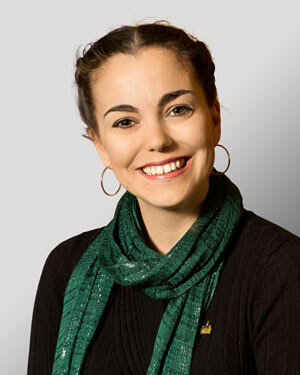 From 2013 to 2016, the research and planning unit (Section de la recherche et de la planification) and the Research Chair on Elder Abuse worked together to develop the Integrated police Response for Abused Seniors (IPRAS). Since May 2016, SPVM officers and investigators have been applying this model across the territory to handle all cases of abuse, criminal or otherwise. They write up an incident report even when the complainant does not want to file a complaint. Consenting victims are referred to resources that offer appropriate support. They are treated by workers in crime victims’ assistance centres and university health and social services centres and by social workers. This collaboration and awareness model improves interventions and follow-ups. It also helps weave a tighter safety net around abused seniors. It could also be applied in other police services or to counter other social problems. 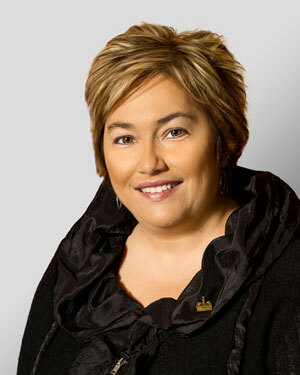 On November 16, 2016, the Ministère de la Sécurité publique published the report by the independent civilian auditor(1), Maitre Fannie Lafontaine. 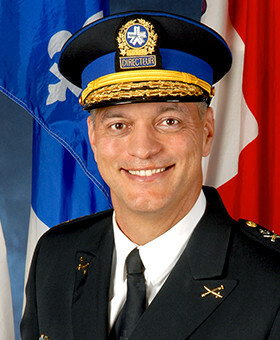 For one year, the lawyer examined the evidence and closely monitored the SPVM’s investigation into the allegations of police misconduct toward Aboriginals. 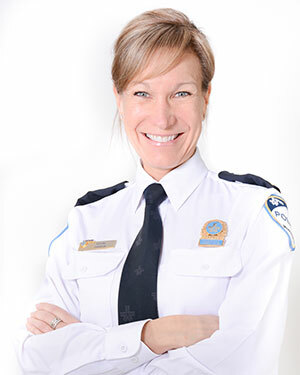 In her report, the auditor confirmed that the SPVM had upheld the highest standards in its investigation, without favouring the police officers involved. 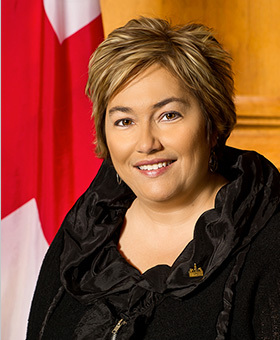 She reported that the means used by the SPVM were impressive throughout Phase 1 of the investigation, which began in fall 2015. All possible avenues were explored thoroughly, seriously and swiftly. On November 18, 2016, the Director of Criminal and Penal Prosecutions (DCPP) released its decisions(2) on the 37 files submitted by the SPVM for the first phase of the investigations. 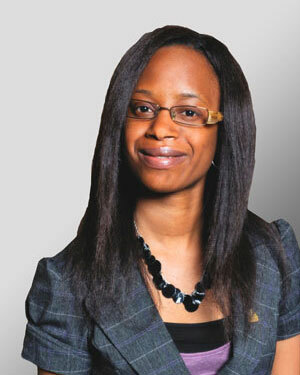 The DCPP explained the reasons underlying the decisions of whether or not to lay charges. Complaints filed with the SPVM after April 4, 2016, were still being examined at the beginning of 2017. SPVM officers are now using a new service weapon, the Glock 19, a robust, reliable weapon made in Europe. At the end of 2016, all officers had successfully completed the two-day training course leading to certification authorizing them to use this new weapon. Of the six other weapons offered, the SPVM chose the Glock 19 because of its many advantages: more effective mechanical operation, weight and size similar to the old service weapon, simple, inexpensive maintenance and exemplary reliability. With regard to its reliability, the Glock 19 is the most widely used weapon by police and military services in the entire world. It accounts for 65% of all handguns in circulation in North America. With this new service weapon, SPVM police officers can be assured they have a gun that can provide at least 20 years of service. In 2016, the SPVM created the Hate crimes and incidents module (Module incidents et crimes haineux), a unit explicitly dedicated to the in-depth analysis—and investigation, if appropriate—of all reported hate crimes or hate incidents(1) that occur in the territory of Montréal. 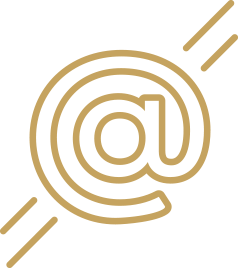 The Module will be a one-stop point of service that provides complete processing of every event of this nature. The SPVM conducts a thorough analysis of incidents it anticipates or confirms that could have a major impact on the community’s sense of security. By drawing a complete portrait of hate crimes and incidents, the Module will serve as a consulting expert for prevention and intervention, backed by local police resources. Since May 25, 2016, the SPVM has also posted a form on its website allowing residents to report hate incidents online(2). The 2020 Strategic Plan, drawn up in 2016, is the product of a collaborative effort by more than 150 managers and the many consultations they carried out in the field with their partners and employees, as well as with citizens. This plan shares the vision, orientations and target results for the next four years with the entire SPVM. Under this vision, the SPVM is committed to the future and proud to provide Montréalers with modern, efficient services. The services it offers are evidence-based and tailored to the residents’ needs. 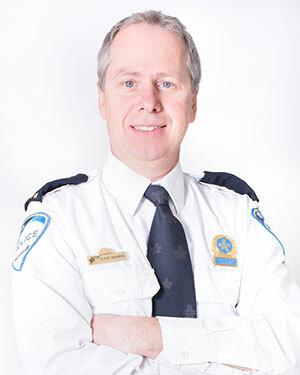 The SPVM also shares security leadership with its network. The SPVM first deployed portable cameras for its pilot project in May 2016. Two units were chosen for the camera deployment in spring 2016: the Section métro and the Module de la circulation of the Division Sud. In the fall, the SPVM added cameras for the officers of PDQ 8 (Lachine-Saint- Pierre), 38 (Plateau Mont-Royal) and 39 (Montréal-Nord). The project evaluation will include experiences with the cameras in both public and private locations. In total, just over 70 officers are testing these portable cameras. The cameras will be withdrawn in spring 2017. After analyzing the many indicators selected to evaluate the project, a final report will be drafted and submitted to the Commission de la sécurité publique (CSP) at the end of 2017. A public consultation with the SPVM will then be held by the CSP. Citizens, partners and community groups will also be invited to take part. For ten years, the SPVM has been working actively to stop procuring and human trafficking. 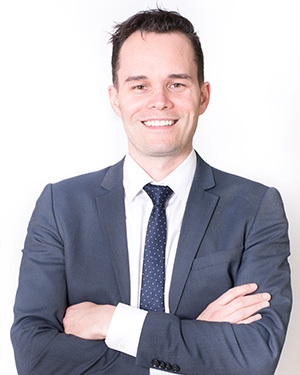 Over time, the anti-procuring team has consolidated its talent and developed extensive expertise that is now renowned both provincially and nationally. Its experts are regularly asked to train judges in the Québec Courts, crown prosecutors and police officers across the country. In 2016, the anti-procuring unit continued to strengthen its team and know-how. 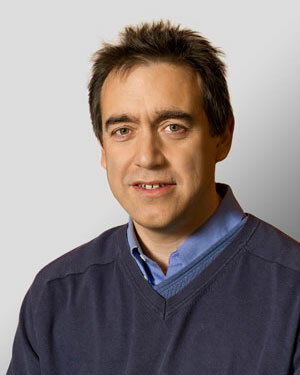 A variety of measures were implemented to increase the capacity to detect sexual exploitation crimes and improve the quality of the services offered to the victims of procuring, including adding CAVAC counsellors to the investigators’ offices. This year, the number of cases handled by the unit increased considerably, rising from 80 in 2015 to 228 in 2016. The investigators also made 53 arrests, twice as many as in 2015. 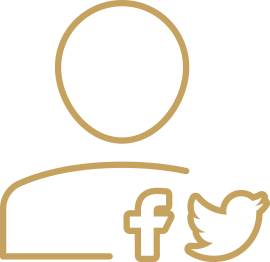 In 2015, the International Association of Women Police celebrated its 100th anniversary. 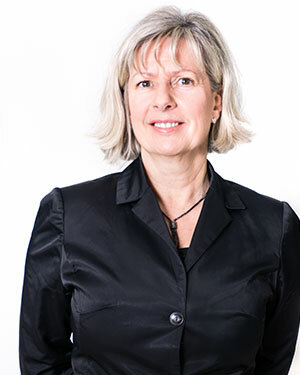 In Montréal, it was on June 11, 1979, that Christiane Forcier became the first female officer in the history of the Montréal urban community police service to obtain all the powers conferred on an officer of the peace. Since then, a great many women have followed in the footsteps of these pioneers who forged our history. On March 8, to celebrate 100 years of female presence on police forces and 36 years of service within the SPVM, Director Philippe Pichet invited the female police officers to a special tribute, along with pioneers, staff representatives and CSP Chair Anie Samson. 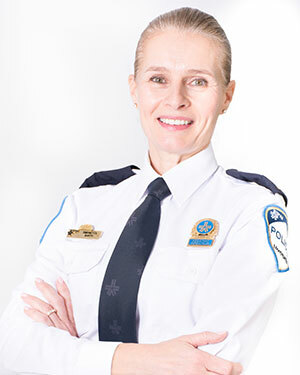 The SPVM now has 1,457 women in its ranks, or 32% of the policing staff. In September 2016, the SPVM and the Montréal fire service (SIM) pooled their investigation teams for a pilot project. The investigators in the SPVM arson unit (SIC) and the SIM fire causes and circumstances research unit (RCCI) joined forces to form the Bureau d’enquête des incendies de Montréal. 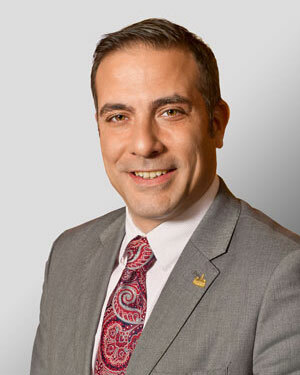 The creation of this joint bureau—a first for Québec—is part of a drive to facilitate efforts carried out jointly by both entities. From now on, the RCCI and SIC investigators will work together on criminal or undetermined fire scenes, with each side maintaining its respective responsibilities. There are multiple objectives: allow for better sharing of information and expertise, strengthen the team and reinforce operating modes and coordination. The pilot project will continue until June 2017 and then undergo bipartite evaluation. With an eye to transparency, in 2016, the SPVM adopted the Open data policy that is part of the Montréal, smart city action plan. This is a first for the police service, and an innovative way to share police information. 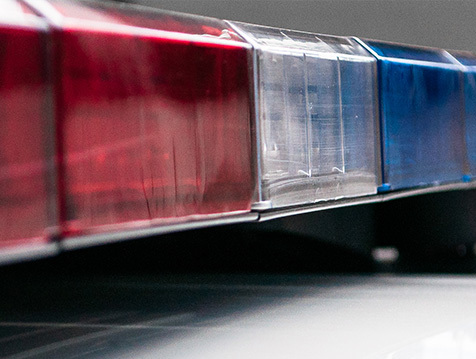 As part of this initiative, the SPVM published six criminal data sets about the Montréal territory, beginning with breaking and entering, followed by vehicle thefts, thefts in and from vehicles, robberies, misdemeanours and offences leading to death. published without undermining public security. 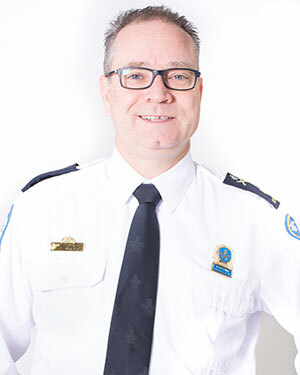 The SPVM hopes that having access to this information will allow Montréalers to be better informed, have better knowledge of their neighbourhood and be better equipped to invest in this own safety. The data can be viewed on the virtual map on the Vue sur la sécurité publique webpage..
As part of the 100% Safety campaign, and with the financial support of the SAAQ, the SPVM has created a, mobile application to give users access to information, tips and road safety rules at all times. Providing good client service is a priority for the SPVM. While investigation follow-up used to be offered by phone and it was sometimes difficult to contact the person, complaints are now followed up by email. As soon as an investigation report is opened, the resident is promptly notified and can track developments in the case throughout the investigation. This way, crime victims can keep an electronic record in their personal files and provide written proof, for example, to insurers, if required. For people without an email address, follow-up will continue to be by phone or letter. 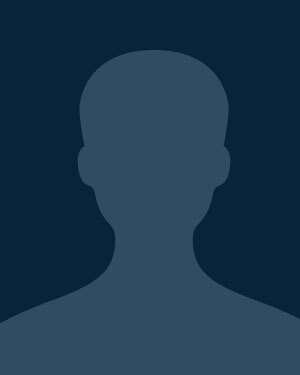 Email follow-up greatly improves complaint handling, because it allows residents to track progress in the case and know where to turn for information. So don’t be surprised if it is increasingly common to see police officers asking for people’s email address when taking an event report. In 2016, the SPVM stepped up its presence on social media. 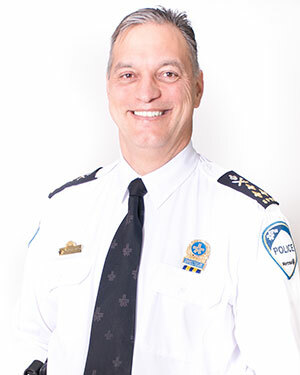 In addition to its corporate Twitter account (@SPVM), the official Twitter account of Police Chief Philippe Pichet (@Dir_Pichet), was launched during the summer. In September, the SPVM also got acorporate Facebook page. Establishing communications and ties of trust with the public is essential, and our presence on social media is an additional way to make contact with the residents, keep them informed and keep the lines of communication open. 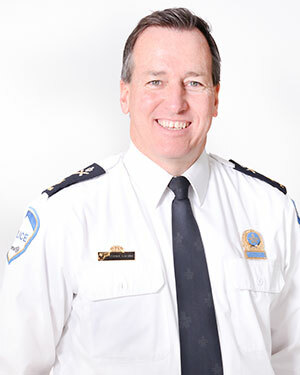 The SPVM encourages constructive dialogue and believes in the value of the conversations we have with the public. Our digital platforms also allow us to announce our various initiatives, promote the work of our employees, inform the public of various events taking place in the territory and offer safety and prevention advice. Following the report by Coroner Malouin in March 2016, the SPVM immediately implemented measures to respond to the coroner’s recommendations, including increasing the availability and accessibility of conducted electrical weapons (CEW) downtown. By March 25, the number of CEWs rose from five to ten in the downtown stations (PDQs 20, 21, 22, 23 and 38) and one more was added at the airport. In addition, on May 19, four new weapons were deployed in the intervention groups (GI). 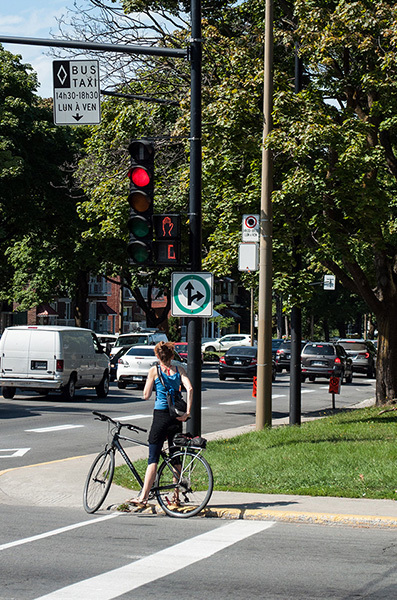 In total, the SPVM gave its patrollers ten additional CEWs. Although most police services in Canada have chosen to provide individual weapons used by only one officer, at the SPVM, conducted electrical weapons are used collectively. For example, in a neighbourhood police station, up to ten officers may use the same weapon, in turn, on different shifts. These measures are part of a major rollout of CEWs that will continue in 2017. 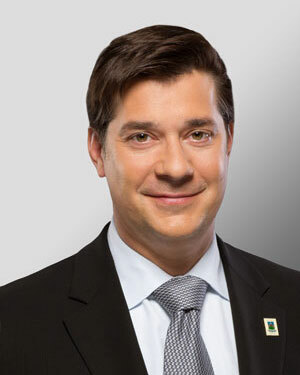 The position of Gouvernement du Québec Representative was vacant in 2016.